The Radiological Society of North American (RSNA) began their Image Share Project in 2009 to give people more control of their own medical records. 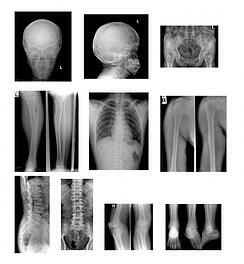 It used to be that medical images were taken, processed and sent to the patient's doctor of record. It was a simple one-step process. Now however, we live in an era where people want the freedom to have their images looked at, and treatment given by the specialist of their choosing. This means the images must be shuttled from one office to another. The RSNA Image Share project improves the patient experience by giving them control of where their images are sent. Currently this project is live on only a few sites, most of them academic in nature. This has limited the number of patients who have had access to this technology and meant a great deal of paperwork for those who chose to use it. This may soon all be coming to an end as there are talks in progress to bring the RSNA Image Share project to 30 or 40 more community healthcare sites which would greatly increase the number of people who have the option of taking control of their patient experience by taking control of their images. How Does the RSNA Image Share Project Work? The RSNA Image Share Project was funded by the National Institute for Biomedical Imaging and Bioengineering (NIBIB) as a pilot project. It allows patients to set up a personal health records (PHR) account and use it to control their own medical records and images through the internet. This internet based technology eases the burdens on both the staff at the radiological offices and the patients. The staff needs only to transfer the information to the patients PHR once and they are done, regardless of how many physicians the patient chooses to send that information to. For the patients, the advantages are many. First, they have complete control of who can access their information. They also enjoy the added security of knowing the likelihood of information getting mixed up is greatly reduced. The staff at any medical facility must deal with the records of many patients and mistakes can be made. A patient has only their own set of records to contend with and as such, are much less likely to cause mistakes due to the wrong records being paired with the patient. Over time, the patient experience continues to be improved as they can build their own medical image and radiological report file that contains all the pertinent information any doctor treating them would need to know all in one place. This allows for easy comparison and a safer, more effective patient experience. As the Image Share Network continues to grow and expand its scope, it will likely also expand its effectiveness. As the technology becomes available on more and more sites, both patients and their doctors will learn the advantages of using a PHR to enhance the overall patient's experience. It is hoped that in the future this technology will give every person in the United States the option of accessing and controlling their own medical records. This may lead to patients who have a better understanding of their own medical history and take a more active role in deciding the course of their treatment. It will give them the ability to seek out and find the doctor they feel best meets their needs and then transfer all necessary information directly to them in one simple step.